The Carbon Fiber has the look that screams Exotic. Levers: Stainless Steel, PVD surface treatment. 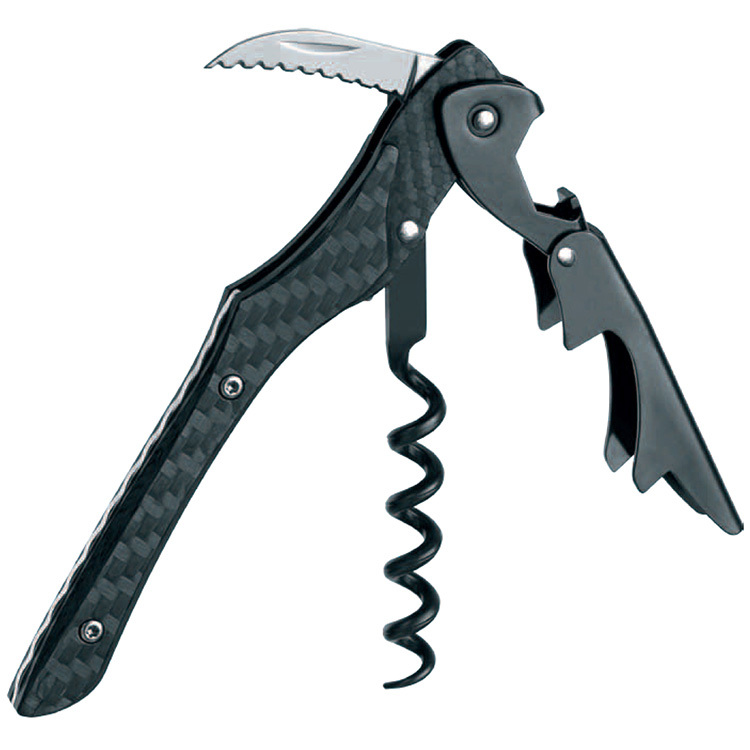 The exotic Carbon Fiber Corkscrew Customized Hand-made in Italy and is made of utmost quality. 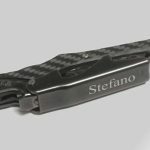 Carbon fiber is a material that attract the eye because of its unique fibers; as hard as steel. Boeing now makes the 787 from this same material. On the ‘knuckle’ there is room for an engraved logo. 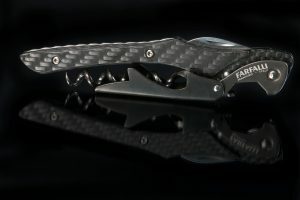 If you like high tech, this corkscrew is exactly that. 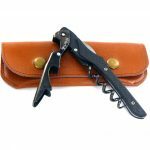 Hand-made in Italy and produced in limited edition. Built to last and be of a hand-crafted look and feel for many years. Ferrari automobiles, Boeing, and Beechcraft Aircraft made this material famous. Along with most exotic sports cars manufactured in the world today. You gotta to own this to appreciate it’s unique character!